"Illusion Machine", the second album by Bret Higgins' Atlas Revolt is amazing. The debut on Tzadik was already killer but this easily trumps it. Sounds a bit like Bar Kokhba, but they have enough of their own thing going on. Lisna and Psy-Fi really need to check it out. Every single track rules. ^ Not bad. I listened to both albums this morning. Not sure if I'll add them to my collection yet. I'll have to give them a few more listens. The $1000 (CAD) ($744.59 USD) price of the debut's download, put me off a bit. I assume it's just a typo and the price is supposed to be $10 (CAD). Here's a similar group with less funk and more of a 60's psych sound in their music. ^ I couldn't resist that description, Psy-Fi, and I'm glad I didn't: both tracks are really good! ^ Thanks for the rec, grindy. That's a great track. One thing I liked about it was that I couldn't place it to region or tradition as you sometimes can with more generic world music. 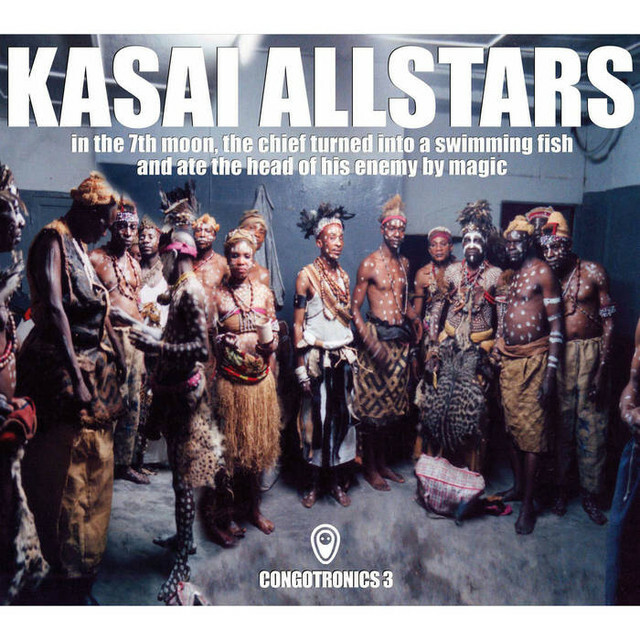 The debut album from "Kasai Allstars" out of the Democratic Republic of the Congo. I can't understand the lyrics but at times this music becomes quite hypnotic and psychedelic, suggesting an otherworldly realm. 2015 re-release of the 1967 debut and only album from Ginger Johnson and his African Messengers. Too bad they didn't release more albums because this one is a 10/10 in my book. Listened to this at work today. Absolutely brilliant. Thanks for recommendation.